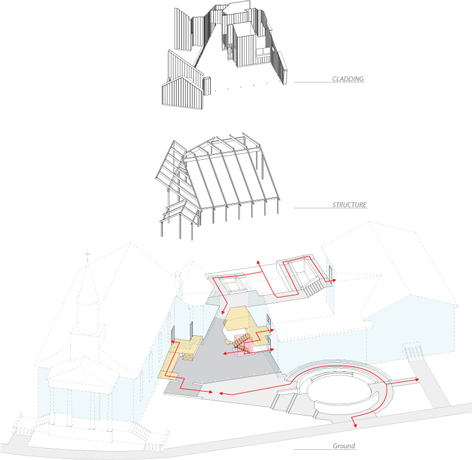 At its heart, KITE’s design for a new connector structure at Saint James Episcopal Church is intended to project the energy and vitality of the parish to the surrounding community. 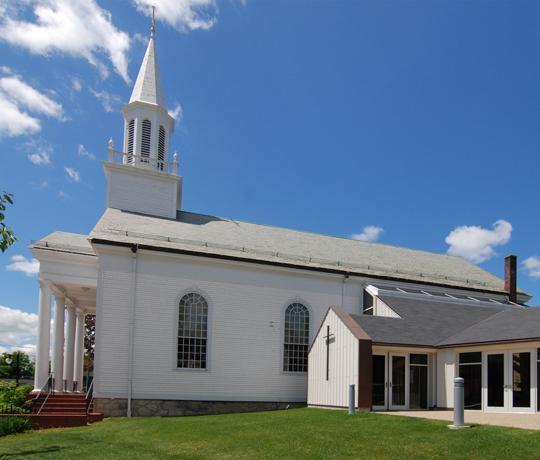 Established in 1832, Saint James Episcopal Church is the first church built in Woonsocket, RI. 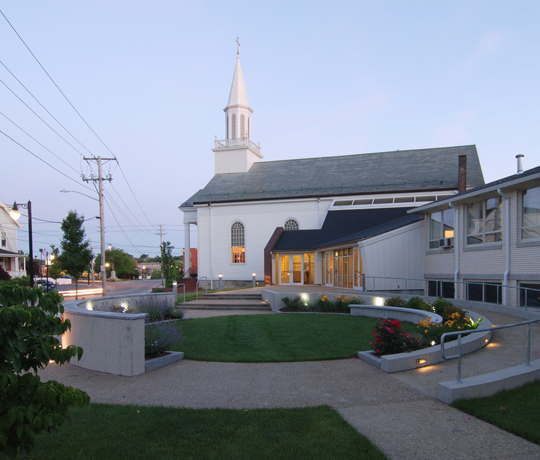 The original Victorian style structure underwent major alterations in the 1930s to conform to a Colonial style of architectum and in the 1960s, a Parish Building was added onto the existing Church. 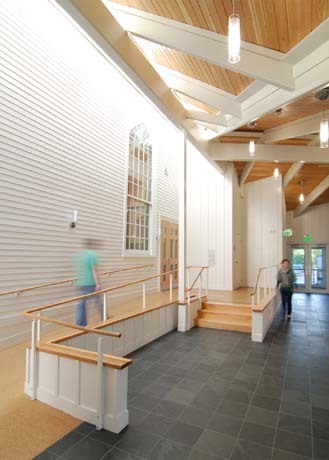 For years, the Parish struggled with accessibility, circulation, and safety issues that KITE’s new structure solves. 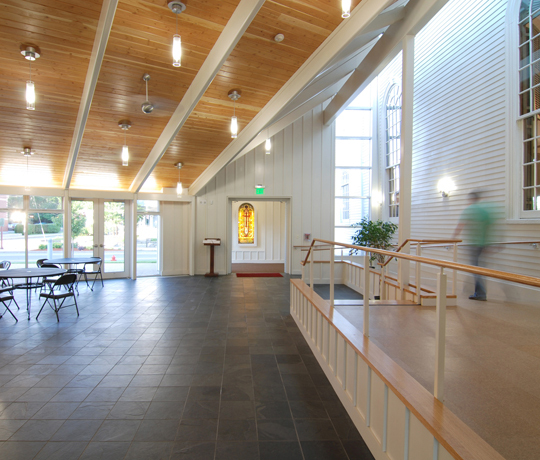 The most dramatic feature in the central gathering area is a skylight that runs the length of the space and washes the wall of the historic church in light, making the exterior architecture an interior focus. A fully glazed south wall opens out onto a new south terrace. A series of carefully considered landscape design elements on both sides of the buildings create enhanced entrances and gardens. The design focuses on a simple and refined palette of materials and construction details that maximize the potential of a limited budget. 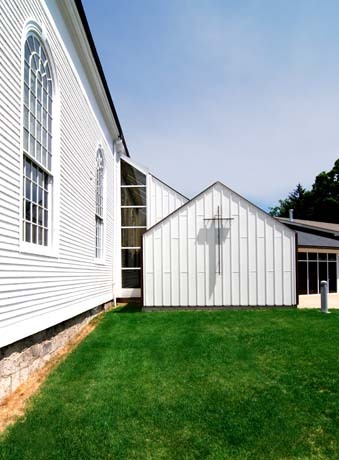 Materials such as white-washed board and battens and copper accents bring rich texture to the project.